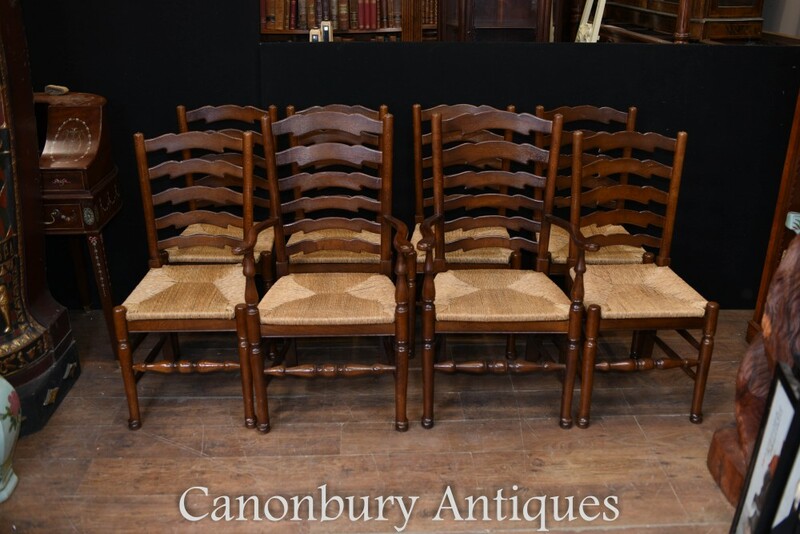 You are viewing a gorgeous set of 8 English oak ladderback chairs hand carved from the finest oak. 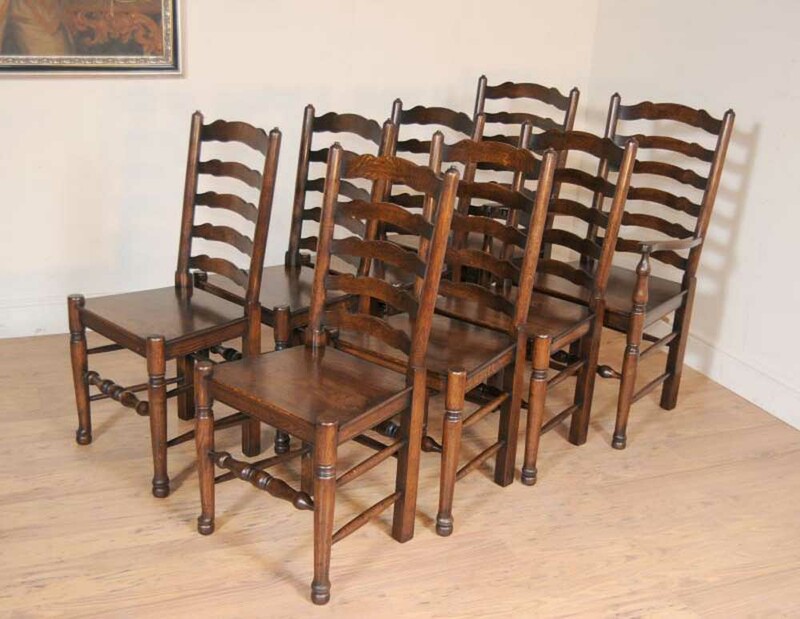 The set consists of 6 side chairs and 2 arm chairs. These really are a design classic and for those of you going for that classic rustic farmhouse look to your interiors scheme then look no further. 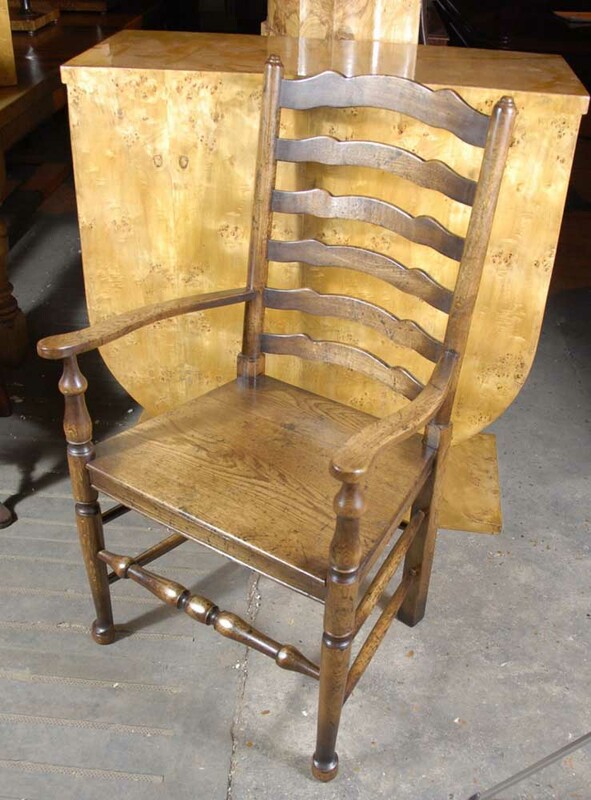 As the name implies each chair has the three ladder back splats which are very comfortable to sit on. The unusual thing about this set are the wooden seats as normally these are hand woven – it’s great as you can use your own cushions on these to really incorporate it into your interiors scheme. The oak has a lovely dark grain to it and the swirls to the wood have really come out a treat. The chairs are also very solid and sturdy to sit on with no lose joints, as well as being very comfortable. They look great in the kitchen or dining room. We also have various tables to match so email for more info or check our eBay store page. Of course if you were to buy a table and chairs set we would organise a special price on the set. We have pictured these around a wakes table we are currently offering. 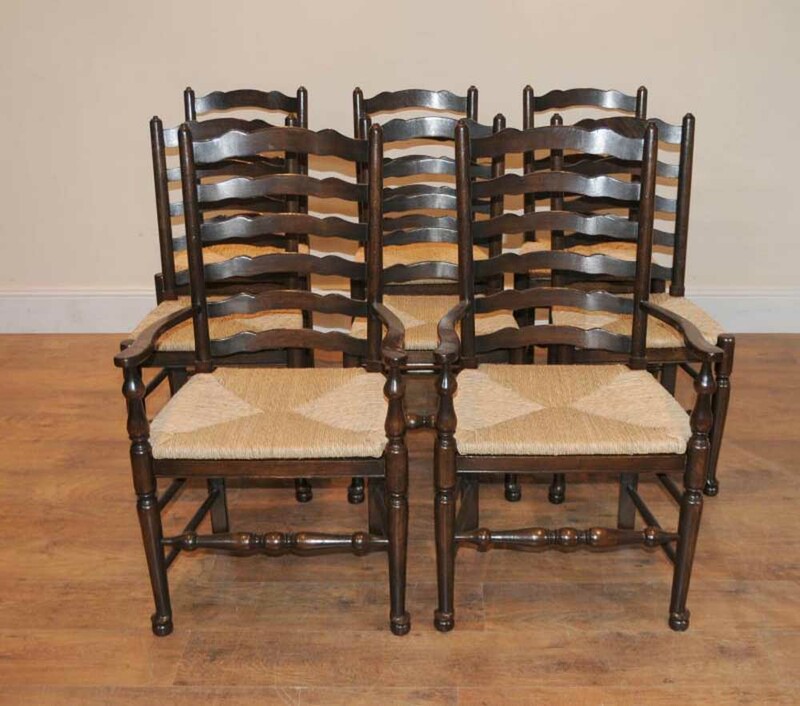 You are viewing a fantastic set of 8 English ladderback chairs – 2 arm chairs and 6 side chairs. They are the ultimate kitchen / dining chair and get their name from the ladder type style to the backs of these comfortable chairs. The seats themselves are hand woven from rush. They have a gorgeous rustic, farmhouse look to them which is all the rage if you read Interiors Design magazines and these will last you for a lifetime and more. They are crafted from the finest oak which has a lovely grain and veneer to it. 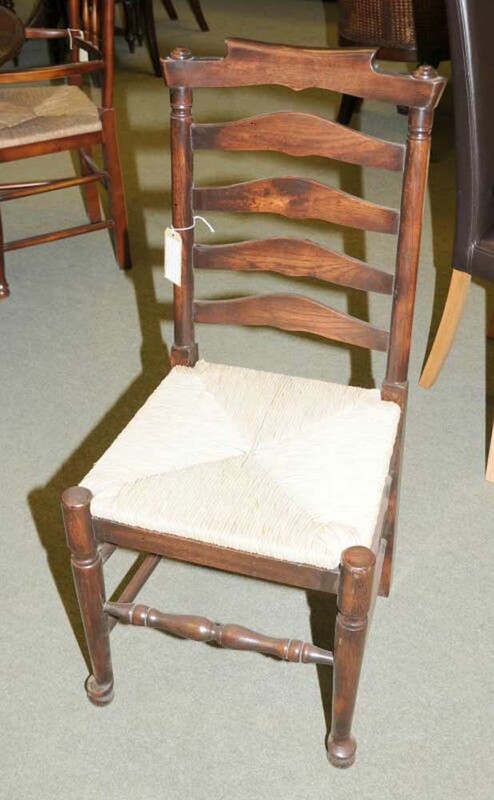 These chairs are very sturdy and solid and are very good at surviving the vigours of everyday family life. There are no wobbles to the joints and they are very comfortable to sit in. I have a similar set in my kitchen. 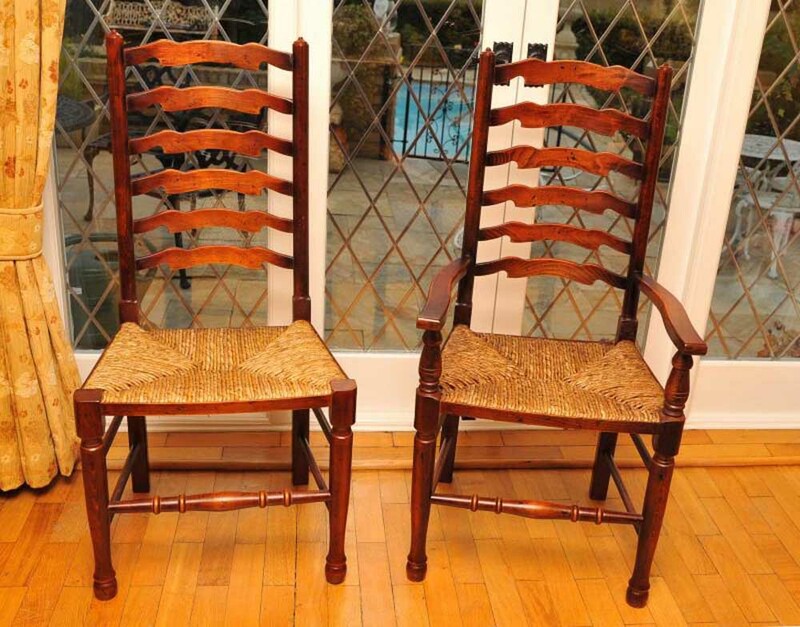 An amazing amount of craftmanship has gone into the making of these chairs and they will last a very long time. We also have a matching table available right now which we have shown in the photos so please contact us for more information on the ultimate rustic kitchen dining set.